The human body is an extremely adaptive organism. If you live in a cold climate country, your body creates more subcutaneous fat to serve as insulation. If you live in a sunny part of the world, chances are, your skin is darker to help deal with the sun’s harmful rays. The body’s own metabolic process is also influenced by external factors, running in a sort of 24-hour cycle. Having a 24-hour internal cycle helps your body anticipate and maintain all the processes that occur within a typical day. An example of this is exposure to light. During the day, our bodies are stimulated to stay awake, but when night arrives, we feel like it’s time to go to bed. New research into the human body’s natural synchronization to external factors has found that at least one aspect can be controlled or reset based on what time you eat breakfast, lunch, and dinner. “A five-hour delay in meal times causes a five-hour delay in our internal blood sugar rhythms. 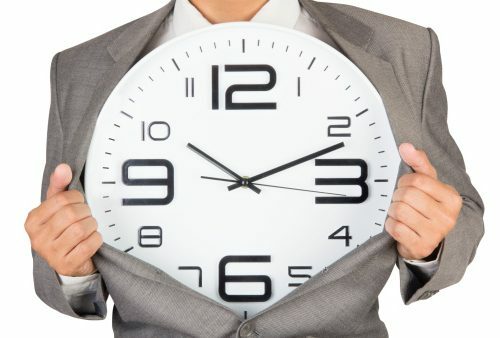 We think this is due to changes in clocks in our metabolic tissues, but not the ‘master’ clock in the brain,” says Jonathan Johnston of the University of Surrey. The theory behind this study revolved around the body’s internal clock system and metabolic control. Previous studies have found connections between our circadian rhythm and its response to meals. The study in question involved 10 young healthy men who took part in a 13-day in-lab experiment. They all ate three meals at five-hour intervals. All meals were of the same calorie and macronutrient content. The first meal of the day began at 30 minutes after the participant awoke. Once they got used to eating early after six days, the researchers switched to a meal served five hours later. After each meal schedule, the participants circadian rhythms were measured in a 37-hour constant routine that removes sleep and environmental rhythms while replacing meals with hourly snacks. The researchers saw that changing meal times didn’t seem to influence hunger or sleepiness, as no changes in markers of the brain’s master clock, blood markers, or clock gene expressions were seen. What the researchers did discover was that later meal times significantly affected blood sugar levels. “We anticipated seeing some delays in rhythms after the late meals, but the size of the change in blood sugar rhythms was surprising. It was also surprising that other metabolic rhythms, including blood insulin and triglyceride, did not change,” said Johnston. The results from this study suggest that people struggling with circadian rhythm disorders, such as shift workers or even those suffering from chronic jet lag, might benefit from timed meals. This may help resynchronize their body clocks.